Thank you for your interest and participation in The Modern Mom Society! I will send you the questions I will be asking 48 hours in advance of our scheduled interview, please feel free to edit this and add questions to the list as you see fit. I’ll be asking about your area of expertise as well as some fun rapid fire questions to get to know you, you can see these below. I will schedule a Zoom meeting invite prior to our interview, please make sure you have the app installed on your phone or computer and ready to go at our interview time. We’ll plan for a 30 minute interview but we may go over so block off an hour on your calendar. After we’ve recorded, please submit free resources, products, and events to The Modern Mom Society site. This is a way to get FREE advertising for your products and services, as well as add subscribers to your email list. While this is totally optional, I don’t want you to miss out on this opportunity to spread your message to the mom community that will continue to grow as I add more episodes to my podcast! I will create your episode/speaker page based on your pre-interview questionnaire answers and anything we discuss during our interview. I’ll send this to you for review well in advance of our air date so any necessary changes can be made. I will email you when I have scheduled your episode air date to remind you to email your list and post on social media advertising the show. This needs to be done within a week of the air date. You are welcome to continue to submit free resources, products, and events to The Modern Mom Society site well after our air date. Hopefully that gives you a good idea of how this will go down – there are also additional FAQ’s below, but if there is anything I missed, feel free to reach out with any questions! These will be asked at the end of the interview – just a fun getting to know you game! Something you swore you would do/not do when you became a mom that you didn’t follow through on OR (for non-parents) Something your parents did that drove you nuts when you were a kid that you are actually grateful for now as an adult. How is the podcast recorded? Anything else I need to know about the recording part of the process? We will be chatting via Zoom (like WebEx) and will only be using the audio portion of the recording. (So this means you can stay in your PJ’s with a ponytail for our interview, what you look like is just between us!) Please be somewhere where you have a good WiFi connection (preferred) or excellent cell reception. Make sure your surroundings will be quiet and you will not be disturbed during the recording. How long will the recording last? I like to keep my podcast episodes around 30 minutes, but we may go shorter or longer depending on how the conversation goes. Please block an hour out of your calendar just in case we go over. Please note some editing may be involved to get our interview down to around the 30 minute mark. Can you edit the recording if we have any hiccups during the interview? Yes, I can edit, but I prefer keeping it to a minimum. Please fill out the pre-interview questionnaire that you should have received along with this link as soon as you can. I will get you a list of questions that I’m planning on asking within 48 hours of our scheduled interview so you can have some time to review and prepare your answers. If you have any other questions about prepping for the interview, please don’t hesitate to email me and ask. How many resources/products/events can I submit? Is there a time frame I need to adhere to? You can submit as many of these as you’d like, and you are welcome to submit new events, resources, and products at any time (even after we have concluded working together on the podcast, if applicable). I’d like to keep adding content and keep the site fresh, so please don’t hesitate to add anything new! What else will you need from me? Email me a head shot, or provide me a url of an image on your site you’d like me to use in your questionnaire. If you’d like to also include some candid photos or other pictures of you and your family, that would be awesome! Email me to schedule your interview – Fridays and weeknights are best, but if neither of those generally work for you, let me know and I can figure something else out! Provide a free resource/opt-in offer – this is going to get people added to your email list, and is going to be a super valuable thing for The Modern Mom Society community. Don’t miss the opportunity to grow your list with a free resource! 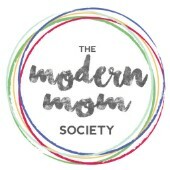 Promote The Modern Mom Society on your website, social media, and in your email blasts to your list – do this within a week of our air date. I will let you know as soon as I have your air date scheduled so you can plan accordingly.